NeSSI is a non-affiliated international ad hoc group composed of over 250 people (and growing) including end-users such as Dow and ExxonMobil, etc. as well as manufacturers such as A+, ABB analytical, Siemans, Fisher-Rosemount, Swagelok, Tescom, Parker-Hannifin. 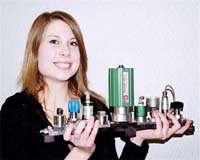 CIRCOR and many others who are looking to modularize and miniaturize process analyzer sample system components. NeSSI operates under the sponsorship and umbrella of CPAC (Center for Process Analytical Chemistry) at the University of Washington in Seattle. NeSSI's origins can be traced to various CPAC Focus Group sessions and a Tutorial presented at the Nov. `99 CPAC Sponsor Meeting. The membership focus of NeSSI has been on manufacturers who are willing to supply parts and components for this initiative as well as end-users who are willing to do "in house" testing. 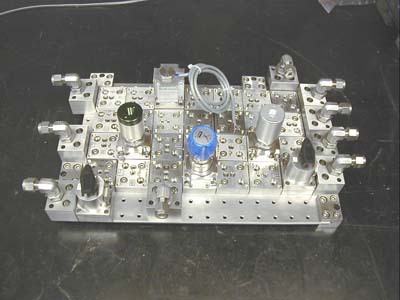 There are now several NeSSI sampling manifold designs which conform (approximately) to the SEMI 1.5" manifold. An ISA standard is being concurrently drafted called SP76 - this however is not an integral part of NeSSI. One of the main driving forces for Process Analytical Chemistry PAC [See also a more recent but related development in the pharmaceutical industry, called Process Analytical Technology PAT] is to remove the bottleneck, and time lag, associated with sending the samples to the lab and waiting for the analysis results. By moving the analysis to the process, results can be obtained closer to real-time which effectively improves the ability for the control action to correct for process changes (i.e. feedback and feed forward control). By far, the most common implementation of Process Analytical Chemistry / PAC (especially for more complex analyzers) utilizes what is known as extractive sampling. This typically involves the continuous (or sometimes periodic) removal of a small portion of sample from a much larger piping system or process vessel. This sample is then conditioned (filtered, pressure regulated, flow controlled, etc.) and introduced to the analyzer where the chemical composition or the intrinsic physical properties of process fluids (vapours and liquids) are measured. 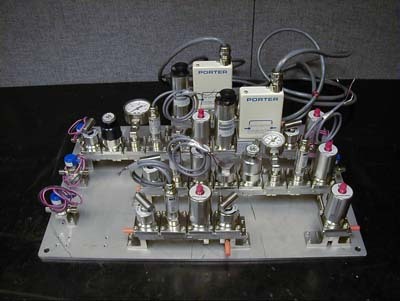 In the industrial plants, the majority of sample systems and their related analyzers are installed in analyzer houses. 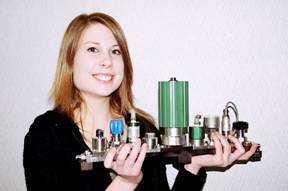 Our driver is to simplify and standardize sample system design. 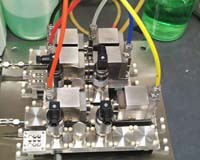 There is also a huge opportunity to adapt the emerging class of "lab on a chip" sensors to a miniature/modular "smart" manifold which could fundamentally change the way industry does process analysis. The NeSSI Technology Development Roadmap groups the technology into three generations which are backward compatible. Generation I is a commercial product and proven in numerous industrial and laboratory applications. Generation II products have been proven in the laboratory but have yet to be commercialized. 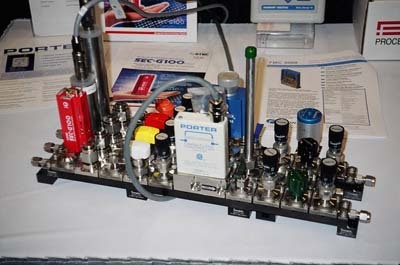 (oxygen transmitter) and sampling system.